About Bounce Geeks | BounceGeeks.com Richmond, VA. Bounce Geeks LLC provides fun, safe inflatable bounce houses and more for children's birthdays, family reunions, fundraisers, cookouts, corporate events, festivals, church or school activities, and any party or event with kids who love to bounce! Now you know what we do, but how did we get to this point? Well, we just started this business in 2016, so we're still young and growing! Our story is pretty simple really. We have a son who turned 3 years old at that time, and we wanted a bounce house for his birthday party. We didn't know who to call, so after a little research we decided we would do it ourselves! What makes Bounce Geeks different from the rest? Why choose us over someone else? Of course these are great questions that I would ask myself, so I know that we need good answers to succeed and earn your trust! Sometimes the simple answers are the best, and our first answer to why you should choose us is this: we are committed to this business. You may find others out there who may be charging less, but usually there is a reason why their prices are lower. They may have inferior products. They might not carry the proper insurance that is required for this business. They might not have the equipment and vehicles needed to make sure they can deliver on time. I for one would rather pay a little more and go with someone who is reliable, fully covered with liability insurance, and has invested in top-quality commercial grade inflatables. Another answer as to why you should choose Bounce Geeks is that one of our priorities is to provide distinctive products that make us stand out from the rest. As a matter of fact, we have invested in a LOT of new items over our first winter off-season that we are sure your children will love! We want to impress you with the quality and visual appeal of our inflatables. For instance, we carry officially licensed character themed bouncers, such as SpongeBob, Mickey Mouse and more. Be careful when dealing with someone who claims to have all the characters available. They may be using illegally printed banners and can get into serious trouble if they get caught. You might want to ask, because the last thing you need is for your bounce house not show up due to the owner getting fined and having to turn in the illegal items. Here is one last reason to choose us: we take safety very seriously. 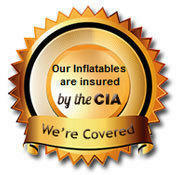 We always follow the manufacturer's guidelines for setting up each inflatable. The manufacturer is very cautious when it comes to their instructions, because they can be held liable should something be wrong. Therefore, it is wise to go by what they say (and they have done the testing required to make sure everything is up to par). 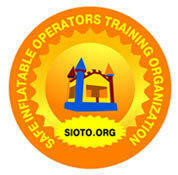 We have also been trained by SIOTO and have received advanced inflatable safety operations certification. Careless mistakes can result in injuries, but we do all we can to set up our items as safely as possible. We also provide training to the customer or volunteers who will be monitoring the kids while they are enjoying our inflatables. In summary, we are a small but growing family company and are fully insured (we can provide a certificate of insurance if needed). You can be confident in our service and the quality of our products. No need to worry about cleanliness; we thoroughly clean and sanitize everything prior to being rented out. Rest assured that we will deliver on time and correctly set up our wonderful inflatables. We look forward to serving you and helping to make your party or event a big success! Please check our Facebook page for updated information and find out about upcoming events and special offers. Interested in joining the Bounce Geeks Team? 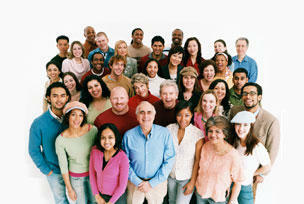 We are always on the lookout for strong, energetic, hard working people to join our team! If you have great customer service skills, a positive attitude and don't mind a little hard work, then click below to read the full job description. This is SEASONAL work and typically lasts from April - October.